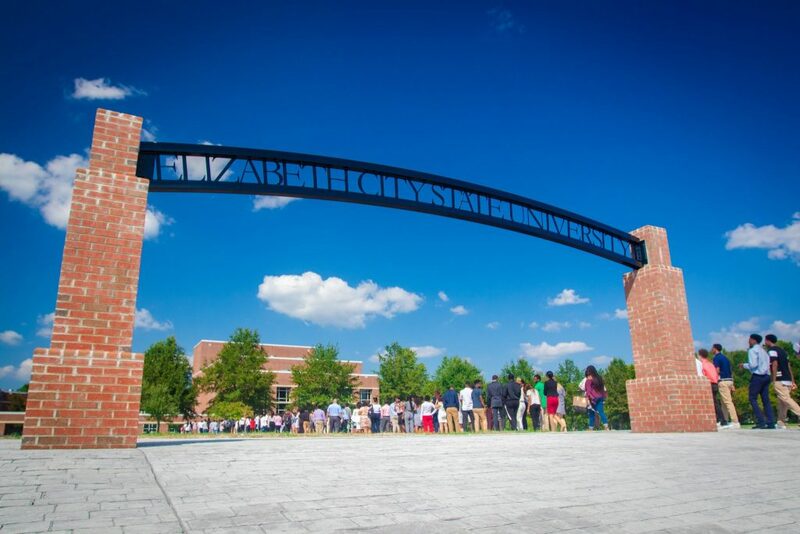 The 2018 fall semester has seen the largest freshman class at Elizabeth City State University in five years, and the final numbers are clear: Overall enrollment is up. Enrollment for ECSU’s fall 2018 semester is 1,636, a 19 percent increase over last year’s enrollment. Freshman enrollment is 418 students and transfers account for 184 of the overall total, which is 57 percent increase over the previous year’s transfer enrollment. The freshman profile is indicative of a brighter day. According to the ECSU Office of Admissions, the average GPA of the incoming freshman class is 3.23. The average SAT scores of new freshman is 990, and the average ACT score is 19. In addition, ECSU is also seeing a record number of freshman Honors Program students this year. 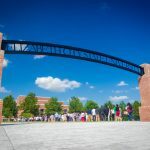 The successful recruitment of a strong freshman class, an increase in the number of transfer students over last year, and the return of continuing students are major factors accounting for the enrollment increase. The fall semester is also the start of the NC Promise Tuition Program, offering in-state and out-of-state students very affordable tuition. “I’m pleased with the institutional efforts and the partnerships with the National Alumni Association, and others who assisted us in keeping the momentum moving forward,” said Dr. Althea Riddick, Associate Vice Chancellor of Enrollment Management. The turnaround in enrollment is due to a combination of the hard work of ECSU staff and faculty, as well as the desire of students and their families to become a part of the Viking family. Over the course of the last year, recruitment of new and transfer students, process improvements, and a customer-friendly staff have made a big impact on enrollment. While the numbers illustrate the result of hard work by staff and faculty, Dixon says the work is not done and the team will be working even harder to maintain the momentum. The university’s new fully online Interdisciplinary Degree is the fastest growing program.. Last fall enrollment in the new program consisted of four students. This fall there are 64 students. The Interdisciplinary Degree Program offers the university’s first online degree, affording students a chance to complete coursework remotely.